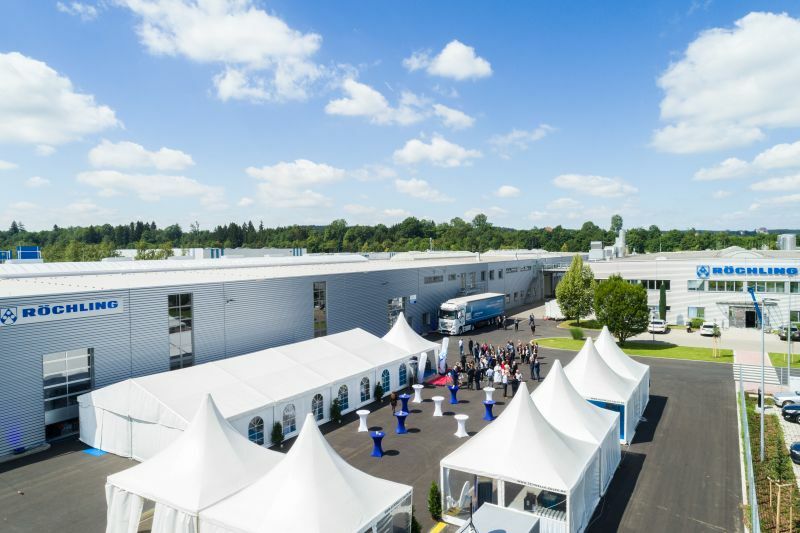 Bad Grönenbach, 27th June 2018 – Röchling Maywo GmbH has officially opened its logistics hall and the extension to its production facilities in Bad Grönenbach. With this five-million-euro investment, Röchling is strengthening its position as Europe’s leading manufacturer of vacuum formable sheets and foils made from thermoplastics, creating 25 new jobs at the same time. The operational site has been expanded by almost 10,000 square meters to incorporate a warehouse and production hall covering 5,000 square meters as well as a large employee car park. 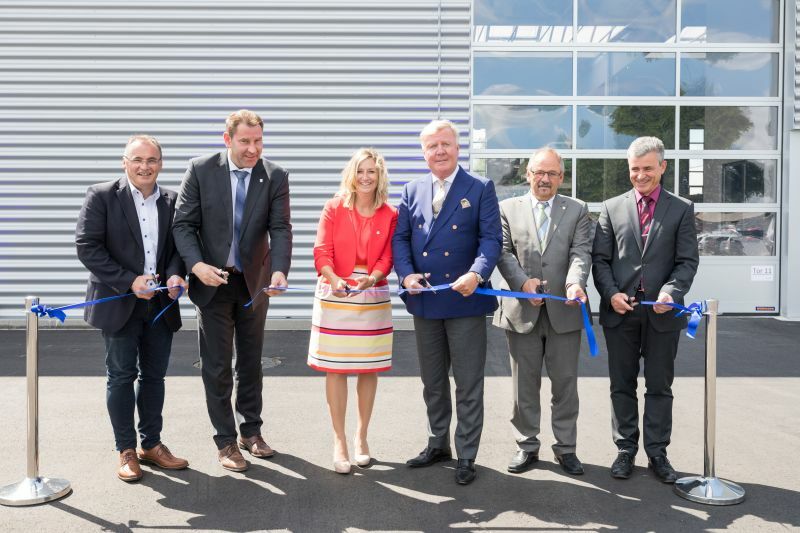 Managing Directors Ingrid Teichmann and Florian Helmich opened the new building together with Bernhard Kerler, First Mayor of Bad Grönenbach, and Franz Lübbers, who is responsible for Röchling Group’s Industrial division. Another important point on the programme for the inauguration was the introduction of Ingrid Teichmann as a new Managing Director at Röchling Maywo. Ingrid Teichmann, who has been with the company since 1996, was appointed one of the Managing Directors as of 1 May. 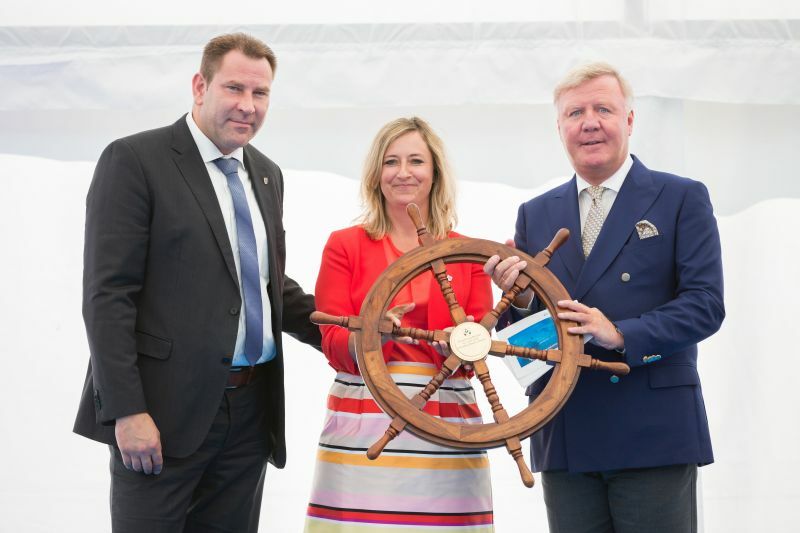 As a symbol of her new role, Franz Lübbers presented her with a steering wheel, saying: “I am delighted that Mrs. Teichmann has agreed to join the executive management along with Mr. Helmich. Thank you!” In future, Ingrid Teichmann will set the course for the company together with Florian Helmich, and will take charge of the commercial area. Both Managing Directors were delighted that so many business partners were able to attend the opening. The complete two-day programme included not only the official celebration, but also a communal evening event with dinner in the Hohes Schloss castle in Bad Grönenbach, as well as a lunch and a tour of the company’s site. With almost 140 employees, Röchling Maywo is one of Europe's leading manufacturers of single-layer and co-extruded sheets and foils made from polystyrene (PS) and acrylonitrile-butadiene-styrene (ABS). Röchling Maywo and the sites of Röchling Formaterm in Sweden and Röchling Rimito Plast in Finland make up the Thermoforming Group within the Industrial division of the Röchling Group. Together, these companies represent the production of high-quality vacuum formable sheets and foils made from thermoplastics. Customers use these thermoforming products in a range of different areas, for example vehicle construction, the electrical industry, mechanical engineering and the sports and leisure industry. Röchling-Maywo sheets and foils are used to create ceiling or wall cladding in trains and coaches. Another key area is in the electronics industry, where workpiece carriers made of electrically conductive plastics are required for computer chips and PCBs.